Often we talk about quality and price in a very generic fashion, without really considering or admitting to the actual use for the end user. For example, a rental or service company that focuses on quality will invariably choose top of the range products when dealing with extremely important productions, those for which precision and high quality are the first things to consider and where budgeting is often not a problem, in place of a real economic return. On the other hand, there is also an immense marketplace of smaller events, for which it is not worth considering expensive products and where it is difficult or impossible to justify high equipment costs. 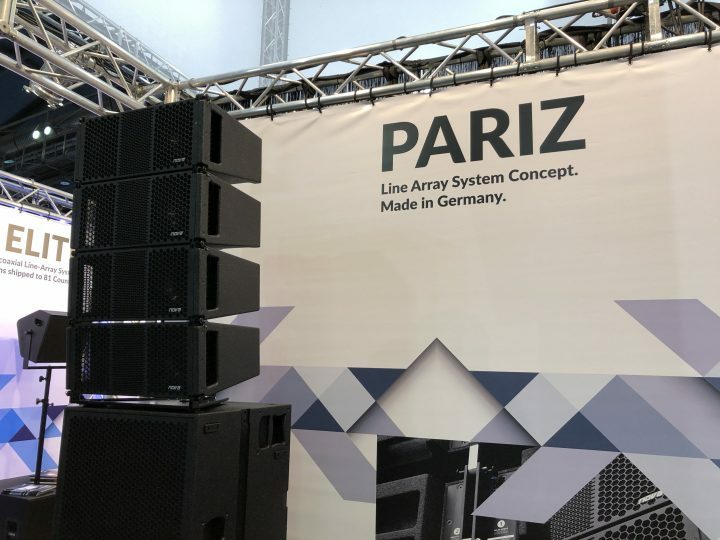 For this kind of market there are companies that do not claim to manufacture products suitable for large-scale productions, but rather are able to provide fixtures that can face a variety of smaller events, supplying sufficient reliability and quality for applications such as parties, clubs, small concerts and more, even in medium to large locations. 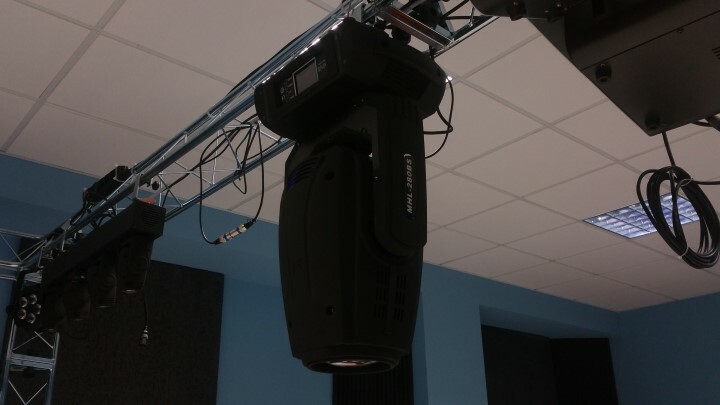 A perfect example of this kind of fixture is the MHL-280BS, a hybrid mobile head produced by Soundsation and more than capable of handling the aforementioned scenarios, thanks to its ability to operate in three different modes, Beam-Spot-Wash. 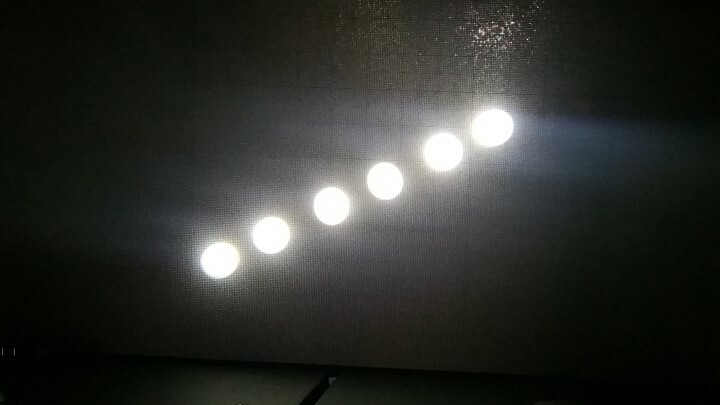 It can also be considered successful and efficient due to lamp, a 10R, 280W unit. 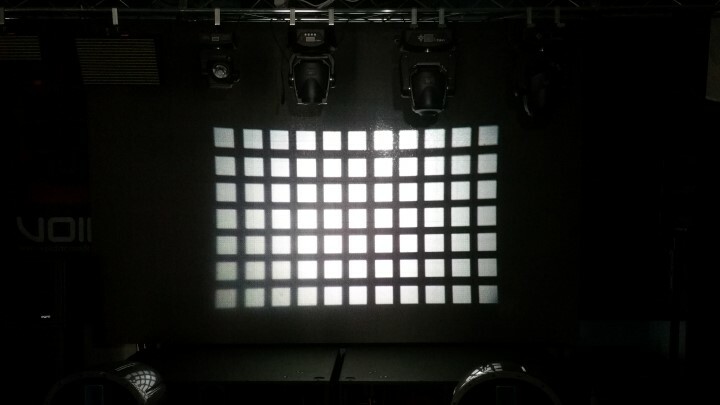 These features allow this projector to be utilised for a wider range of events, and enable it’s used without too much pretence not only in open air applications, but also in large enclosed environments. The MHL-280BS features two gobos wheels. The first contains 9 interchangeable rotating glass gobos of 15.4mm, whilst the second sees 13 fixed gobos. Alongside this, we find two prisms of 8 and 6 facets respectively, as well as a strobe function, one colour wheel of 14 colours besides white, and a 0-20 ° linear focus, with adjustable wash mode. The unit features a touch-sensitive user interface (2.8″), which is functional and easy to use thanks to the menu, up, down, and enter buttons. On the opposite side of the display there are the 5 and 3 pole DMX interfaces, the power inlet and the on/off button. The stated consumption is 450W from the 280W lamp and 15 extremely silent engines, whilst the total weight of the fixture is only 16 Kg. Going in the specifics of some functions, we can note the 0~20° focusing with photoelectric repositioning, capable of recalling an automatic feature reset in case of any anomalies. Interface Adopting color touch-screen LDC (2.8 inches). It directly monitor and set all functions, including lamp life.span. 180° rotatable. We tested the fixture inside the Frenexport showroom, Soundsation’s distributor in Italy. Let’s say immediately that we don’t have unprecedented CRI and mind-blowing beam strength in front of us, yet the first impression was, however, that this a fixture designed and fit for purpose. 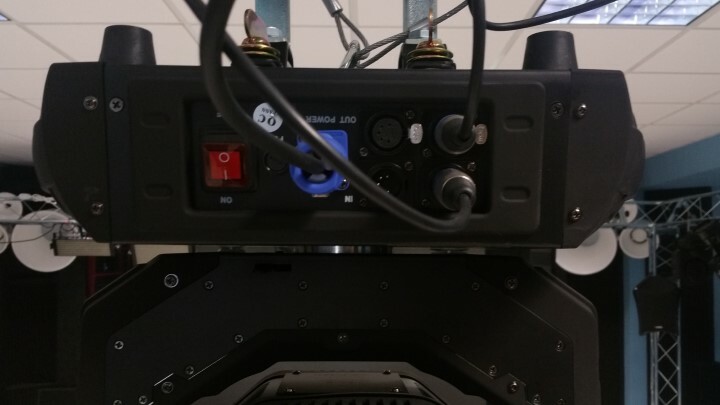 Starting from the movement, we noticed the incredibly low noise level and speed of the fixture, proportional to the weight and size of the moving head, which provides performance that can certainly earn its place inside a rig of different lights and with products of higher ranges. There is also a wide and appealing choice of gobos within the fixture – in addition to the various beam reducers we have stars, lines etc, as well as some effects such as a lattice and triple line. These can be precisely focused, and with insertion of one of the two of the 6 or 8 facet prisms, combined with the rotation effects, produce original and clearly visible effects. All of this is also possible thanks to the power of the lamp source. The colours result in a satisfactory palette, and a white around the 4000K mark. The colours remain present and strong even with the insertion of prisms and gobos, making it possible to create truly original and functional effects. Our last specific comment is on the sizeable and precise colour display, which is capable of displaying a range of information and allows many fixture settings to be quickly and intuitively changed. 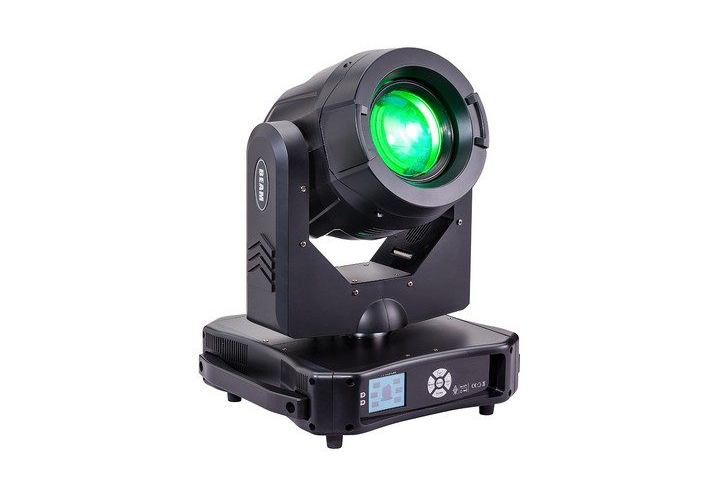 Although this is a projector that does not show any substantial new features, it is one that denotes a remarkable commitment to the development of effects, zoom and focus accuracy, and with the use of a powerful yet cost effective lamp. The basic functions are sufficiently precise and effective, especially if we consider the cost and target market of this moving head. All right, there’s nothing new you say, but ultimately we found this to be a useful product that can be used in a variety of situations, such as live applications, outdoor clubs and small to medium productions. 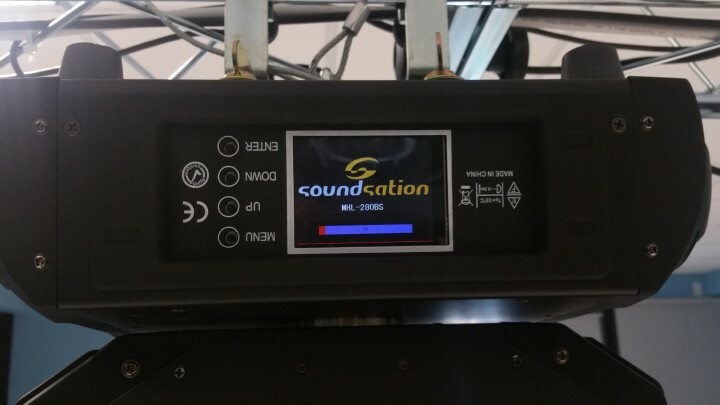 But in relation to this kind of product – which declares itself to be in the mid-range of products – there certainly aren’t many competing in the price range, and the MHL-280BS of Soundsation is certainly one of those fixtures to be taken seriously within the market. 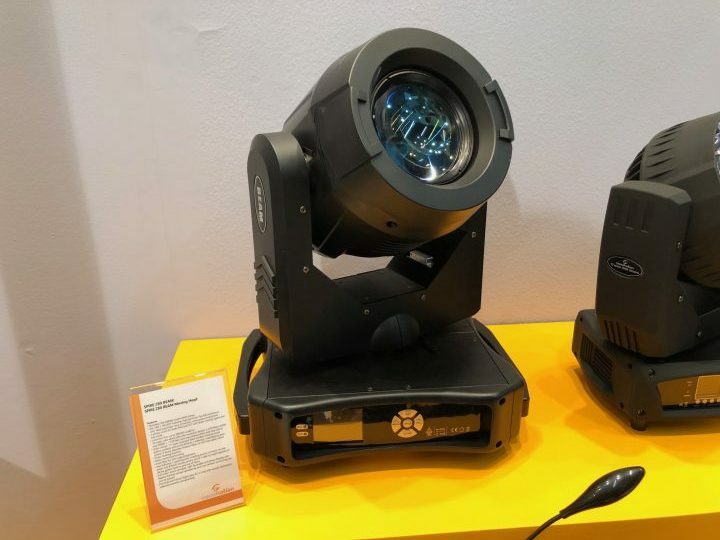 It’s a considerate fixture, which embellishes the lights pumped out by the warehouses of all those small and budget companies, whilst at the same time not sacrificing a dignified performance and modern effects.